Uber held an all-hands meeting on Wednesday to welcome its new CEO, Dara Khosrowshahi. The new hire was joined by board member Arianna Huffington and former CEO Travis Kalanick in what was mostly a drama-free induction of the new leader to the company—a company that Khosrowshahi claims he will take public in as few as 18 months. The meeting was seemingly uneventful with the exception of a slip-up from Huffington, according to a tweet from The Information’s Amir Efrati and another from Recode’s Kara Swisher. 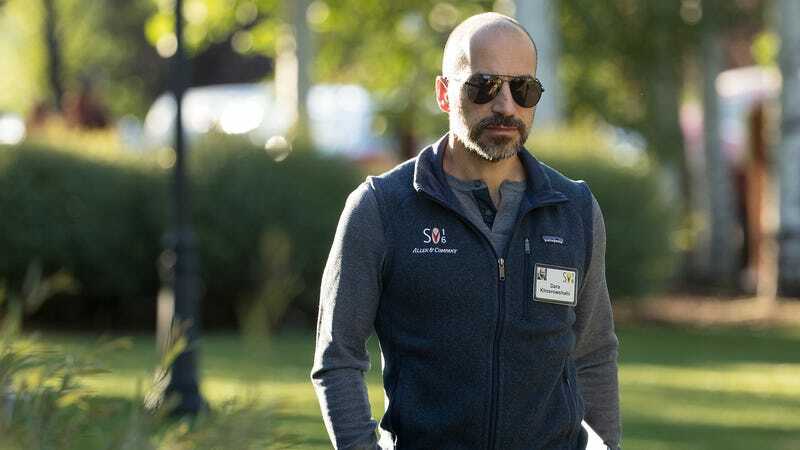 Huffington reportedly said that Khosrowshahi’s “CFO is coming...,” before the new CEO interrupted her, leading people to speculate that Uber may also want to hire Expedia’s current CFO, Mark Okerstrom, for its vacant CFO role. Hours later, Expedia announced that Okerstrom will in fact become the travel booking company’s new CEO. On the heels of an internal investigation into harassment and discrimination within the company, it’s necessary for Khosrowshahi to point out that Uber has to change. But his comment sharply contrasts with the heavy presence of Kalanick at today’s all-hands. The former CEO has shown he is unwilling to detach himself from the company, contradicting recommendations in the Holder report. Kalanick also reportedly indicated during the all-hands that he is willing to help Khosrowshahi however he needs. It remains to be seen whether Khosrowshahi has convinced skeptical staff that he will be the change the company needs. But at least he and Kalanick found time for this sweet selfie.